There are many parts to an air conditioning system. It’s a complicated system, and this makes it challenging to troubleshoot problems and to fix things that need fixing. 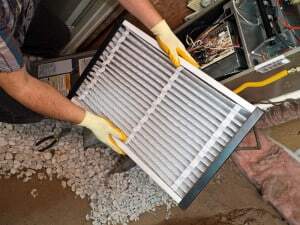 Luckily, the AC repair Maitland has trusted for over 25 years is ready to help keep your air conditioning system running properly and to fix anything that goes wrong with it. Summers are incredibly hot and humid in the Maitland area. The oppressive humidity can make you feel hot and sweaty even when you’re standing still. Heat and humidity can have an even more intense affect on small children, animals and the elderly. Many times their bodies are not equipped to handle the incessant, out of control heat and humidity. This makes the services of your trusted Maitland AC repair a valuable and essential tool to help you get through the summer months. Staying comfortable in your central Florida home is the goal you have and the goal we share with you. DC / AC Air Conditioning and Heating is ready to help deliver the expertise and help you need to keep your air conditioning system running in top form. With the extensive experience the owner of DC / AC Air Conditioning and Heating has, combined with the experience of all the professional technicians, all air conditioning service comes with a guarantee that it will be done right and will meet or exceed all standards. 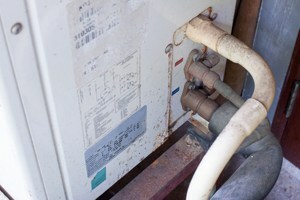 As soon as you call for service, a technician will be out to evaluate your individual situation. You’ll be impressed by our level of professionalism. You’ll receive details about what the technician found, what needs to be repaired or replaced, and exactly what the cost will be. We’re known for our A+ rating with the Better Business Bureau and we strive for excellence in everything we do. When something goes wrong with your air conditioning system, you want answers and solutions and we’re happy to provide them. You’ll be pleasantly surprised by all the enhancements that have been made in HVAC repair and in the trend-setting advances in today’s brand new HVAC systems. 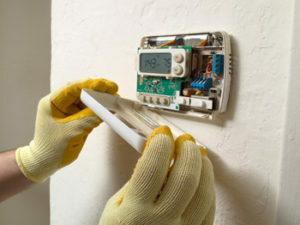 Once you’ve called for residential and commercial AC repair in Maitland FL and found that you need a new system, you can have complete confidence that the system you choose to have installed will be exactly what you need and will give you years of cooling service. Our knowledgeable technician will explain to you all the nuances of each type of new system and the benefits of each. You’re sure to find exactly the system you need, in your price range. The newest, cutting-edge air conditioning systems on the market today are known for being eco-friendly, energy-efficient and they’re built to run in the most cost-efficient way. Experiencing lowered utility bills is just one part of the positive benefits you’ll see. You’ll also be able to have the least impact on the environment as possible, to help preserve our valuable environment for future generations. A knowledgeable technician from DC / AC Air Conditioning and Heating will be happy to explain to you important things like energy star ratings. We’ll also help you to fill out any paperwork required to get any rebates you might have coming to you for installing a new system. We think you’ll be impressed with the new system you have installed, as well as the AC service you receive from our experts. We believe you’ll notice right away the professionalism, integrity and attention to detail paid to every AC repair and air conditioning service you receive from DC / AC Air Conditioning and Heating. When you ask for residential and commercial AC repair in Maitland FL, we deliver on time and with the utmost respect for your home and business areas, and for your time schedule. We strive to make your air conditioning repair service a seamless and effortless experience on your part. 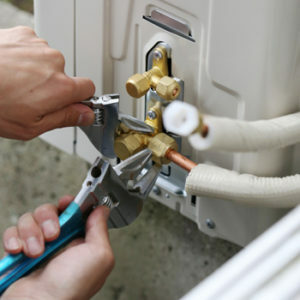 We put in the extra effort it takes to provide excellent AC service and repairs every time, on every job. Every technician we send out is fully Florida licensed, bonded and insured so you can have full confidence in the service you receive. We’re known for listening to and addressing all of your concerns and taking the time to answer all of your questions to your satisfaction. We’ve been able to achieve and maintain an A+ rating with the Better Business Bureau due to providing all services diligently and expertly. Our customers notice these differences and do not hesitate to recommend us to their friends, co-workers and family members. In a place with a subtropical climate like Maitland, Florida, you must have an air conditioning system that works seamlessly to keep your home or business areas cool. Your experts in air conditioning repair and air conditioning service from DC / AC Air Conditioning and Heating want to be your trusted partner in keeping your environment comfortable year-round. 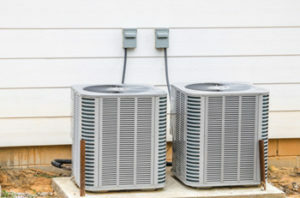 DC / AC Air Conditioning and Heating maintains a stellar reputation for providing the Maitland air conditioning repair residents need to keep cool in hot weather. Humidity and heat in the Orlando area are tough, but our expert air conditioning repair and maintenance services are tougher. We repeatedly receive praise from our frequent customers for our exceptional attention to detail, fair and honest pricing, our integrity and professionalism. The highest compliment we love to receive happens when our customers recommend us to their family and friends because of their satisfaction with the service they received. When things get hot, you want the AC service Maitland has come to rely on to make their homes a comfortable place to be, even in the warmest weather. At the first sign of trouble with your air conditioning system, you know you can call us and rely on us to be there for you, as we have been there reliably and steadfastly for over 25 years. You have our guarantee that you’ll receive the highest quality service for your air conditioning needs. The AC repair Maitland relies on is delivered in a custom way, always crafted to be exactly what you need to restore your air conditioning system to top working order. If you have a new system installed, you can trust that we’ll back our installation and the integrity of your unit in a way that ensures 100 percent customer satisfaction. The AC service Maitland trusts most often is expertly delivered by DC / AC Air Conditioning and Heating.